Main purpose of this report is to Exploring the Performance of General Banking Activities of Shahjalal Islami Bank Limited, here focusing on Deposit Mobilization, Remittance and Foreign Trade. Other objectives are know about operational activities this is based on Islami Shariah and know about Foreign Trade operation of SJIBL. Finally to know distinguishing fractures between Islamic and Non-Islamic Bank. Here also identify the customer service of SJIBL. To find out the reality in the practical life. To fulfill the requirement for the completion of BBA program. To develop the practical knowledge by the practical orientation of work. To build up the pillar of the career for near future. 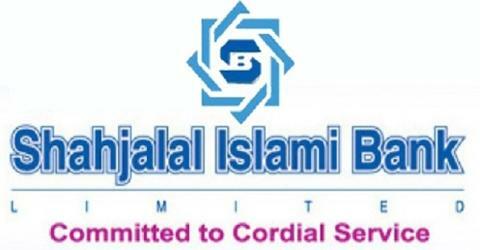 To know about Shahjalal Islami Bank Limited (SJIBL) operational activities this is based on Islami Shariah. To know about Foreign Trade operation of SJIBL. To know distinguishing fractures between Islamic & Non-Islamic Bank. To identify the customer service of SJIBL. Face to face conversation of the officers. Face to face conversation of the client. Working at different desks of the bank. Annual report of Shahjalal Islami Bank Ltd.
Progress report of the Bank. Bangladesh Bureau of statistics report. Different publications regarding banking function and foreign Trade operation. Shahjalal Islami Bank Limited is based on Islami Shariah. SJIBL is named after the name of a saint Hajrat Shahjalal ® who dedicated his life for the cause of preaching Islam in the east-north part of the subcontinent. It was incorporated as a public limited company on 1st April 2001 under companies’ act 1994. It started its banking operation on may 10, with the 1st branch opened at 58, Dilkusha C/A, Dhaka, obtaining the license of Bangladesh Bank, for enlistment of financial condition of its customers as well as to contribute to sustainable economic growth and development in trade and industry of the country. Its corporate head quarter is situated at 10, Dilkusha, C/A, Jiban Bima Bhaban, Dhaka -1000, and Bangladesh. Now it has 21 branches 11 Branches are in Dhaka and rest 10 branches are in Chittagong, Sylhet and Gajipur. The sponsors of SJIBL are leading business personalities and renowned industrialists of the country. The objective of Shahjalal Islami Bank Limited is not only to earn profit but also to keep the social commitment and to ensure its co-operation to the person of all level, to the businessmen, industrialist specially who are engaged in establishing large scale industry by consortium and the agro-based export oriented medium and small scale industries by self inspiration. SJIBL is always ready to maintain the highest quality of services by upgrading banking technology in management and by applying high standard of business ethics through its established commitment and heritage. SJIBL dreams to become the bank of choice of the general public and it include both the consumer and the corporate clients. They want to build such an image that whenever people will think of a bank, they will think of Shahjalal Islami Bank. SJIBL has created a cadre of young professionals (YP) in banking profession. This has helped boosting productivity in the bank. All officers are now target driven and more focused on banking. Human Resources Management Division which provides training to the officers of the bank to develop their knowledge base about banking activities through training Institute of the Bank. Shahjalal Islami Bank Limited aims to become one of the leading banks in Bangladesh by prudence, flair and quality of operations in their banking sector. The bank has some mission to achieve the organizational goals. Bank account is a contractual relationship between a bank and the customers. It is the best way for a customer to build relationship with the bank. Like interest-based conventional banks, the main function of Shahjalal Islami Bank Limited (SJIBL) is to mobilize saving and provide financial support to the entrepreneurs. Depositors receive interest in a predetermined rate for their deposits make with an interest based banks, where SJIBL neither pay not receive interest and mobilizes saving of the common people in line with Islamic Shariah. Shahjalal Islami Bank Limited receives deposits in its Al – Wadia Current Account. It has some similarity with the current account of conventional bank. The term Al – Wadiah Current Deposit means deposit of money allowing somebody to sue it. Banks being trustee preserves and keeps or in safe custody of what is deposited. Depositors feel safe in keeping their money with the bank and take transaction facilities. Bank provides assurance of returning money to the depositors on demand. In the process of opening Al-Wadiah Deposit, the bank gets approval of the depositors regarding the use of the deposited money and earns profit out of their development. Any losses incurred by way of such investment are totally borne by the bank. Thus, the depositors don’t take the risk of losses with Al-Wadiah Current Deposit; they also don’t expect any profit from it. Depositors are provided with cheque book. They can withdraw or deposit any amount as and when they like. Bank may charge a fee in the account. Al-Wadiah Deposit are short terms and very uncertain, thus banks have to be very useful in the investment of money from this account. Mudaraba Saving Deposit (MSD) is open by the lower and middle people who wish to save a part of their incomes to meet their future need intend to earn an income from their savings. It aims at encouraging savings of non-trading persons(s), institution(s), society, etc. by depositing small amount of money in the bank. The total amount of one or more withdrawal on any date should not exceed 25% of the in the accounts unless 7 (seven) days advance notice is given. The customer may deposit any amount in the savings bank account subject to a minimum of Tk.2000/- in the account. Shahjalal Islami Bank Limited is proving 5.5% profit on Mudaraba Saving Deposit. Two copies of passport size photographs of accountholder and one copy passport size photo of nominee. After opening an account and before issuing a Cheque book the authorized officer should check the account operating form for the complete information, which is given by the customers. Photos of the account holder. Name of the nominee and their address. Specimen signature in the form in the “Specimen signature card”. Name, address and the account number of the introducer. Shahjalal Islami Bank Limited also receives term deposit from the clients. The SND account is different from the interest-based banks. It is also a Time Deposit account. The formalities for opening of this account are similar to those required for Al-Wadiah Current Account. The only difference is that seven (7) days notice is required for withdrawal of any sum and profit is paid. The rate of profit for this account is 5%. If the withdrawal on demand is desired, it may be paid subject to the for-feature for the period of notice or the expired of notice. It maturity is long than other scheme. Generally this account is designed for children. Here, applicants are the selected people for operating the account on behalf of the accountholder. The depositor should to deposit the account within first 15 days of the month; neither will he/she be designated as debtor to the bank. If 15th date is the off day then the next working day will be schedule date. Accountholder can open more one account this Branch. Depositor will get 80% loan facility against the deposit money. No chequebook will be issued for this account, but the bank will provide deposit book. Hajj is compulsory for all who are the ability to hajj at that cause Hajj is important for all. Hajj is the important way for the Islam but many people have the interest but there have no ability. Many people create the ability but at that time they are physically weak. At that cause Shahjalal Islami Bank open this scheme. Must be age above 18. Account holder must be citizen of the Bangladesh. Account holder must need the attested photo with introducer. Gradient can maintain their account for the child. This account is duration time is 1 year to 25 year. 12 monthly schemes within one year. Scheme must pay at 25 dates every month if this date is holiday at that time it will pay at next working day. If scheme pay in cheque at that time cheque clearing must at 25 date every month. If the accountholder is give the permanent paying order at that time charge 50 taka and per scheme is 5 taka. Copy the passport, if available or Employer’s Certificate or Commissioner’s Certificate or Letter of Introduction by a person accepted to the Bank. Two recent passport size photographs duly attested by the Introducer. Two recent passport size photographs of the proprietor/Signatory duly attested by the Introducer. Copy of the passport the proprietor/Signatory, if available Commissioner’s/Chairman’s Certificate or Letter of Introduction by a person accepted to the Bank. Copy of Partnership Deed of the Firm. List of Partners with their address and phone number. Extract of Resolution of the Partners of the Firm for opening the account and authorization for its operation duly certified by the managing Partner of the Firm. For Registered Partnership, Certificate of Registration of the Firm along with duly certified copy of the Partnership Deed. Two recent passport size photographs of each Partner/Signatory duly attested by the Introducer. Copy of Passport of each Partner/Signatory, if available or Commissioner’s/Chairman’s Certificate or Letter of Introduction by a person acceptable to the Bank. Certified true copy of the Memorandum and Article Association of the Company. Certified true copy of Certificate of Incorporation of the Company. Certificate true copy of Certificate of Commencement of Business of the Company in case of Public Limited Company. Latest list of Directors with address and phone number along with Form XII. Extracts of duly adopted Resolution of the Board of Directors of the Company for opening the Account and authorization for its operation duly certified by the Chairman/Managing Director of the Company. Two recent size photographs of each signatory duly attested by the introducer. Certificate or Letter of Introduction by a person acceptable to the Bank. Outward Bills for Collection (OBC) and Inward Bills for (IBC) within the cleaning houses area. This instruments drawn on other banks, within the clearinghouse area, are deposited through our clients are sent for collection is called outward clearing. Entry in the Outward Clearing Register. Preparation for Clearing House: a) Schedule making, b) send to principal office. The amount in party A/C in the clearing part is not in the available balance part of the computer program. If the instrument is honored then the amount merges are available balance. This is done by customized software prepared by SJIBL OT Department. Send Return memo, showing cause, to Local Office for dishonored instrument. Verification of following items are taken. Cash department is the most vital department of a bank and it is call blood of a bank. It is a platform to communicate with customers. Cash department receives & pays cash directly. There is a procedure of cash in and cash-out from the vault. Also a systematic procedure is maintained for receiving cash through different vouchers and payment against different cheques and vouchers. Different types of instrument remittance (TT, DO, PO etc.) are received by respective forms. Bills like National Life Insurance Co. Ltd.
Bank’s expense also paid to outsider through cash debit voucher. Receive of the cheques with a signature behind it. Scrutinize it by an authorized officer. Submit to computer-to-computer section for checking the available balance. Cancelled & seal up “Pay in Cash” and cancellation through sign up. Again submitted to computer section for debiting the party A/C and seal up “Posted”. Send to cash counter – payment officer. Take another signature of payee behind the cheque and pay cash. Total receiving + Opening balance – Total payment = Closing balance for that day & opening balance for the next day. Check it with computer sheet. Entry the cash balance register. Write cash position memo with denomination. If any letter of credit can be amendment or change of any clause canceled by consent of the exporter and importer is known revocable letter of credit. the bank to make payment. Revocation is possible only until the issuing bank or correspondent has honored the document. Thus a revocable credit does not usually provide adequate security for the beneficiary. Undertaking by the bank to make payment, revocation is possible only until the issuing bank or correspondent has honored the document. Thus a revocable credit does not usually provide adequate security for the beneficiary. A documentary credit takes many different forms. The first decision i.e. the choice of the basic form of the credit is usually made at the time of negotiation between the seller and the buyer. The terms of the credit will be determined in detail when the buyer instructs his bank to issue the credit. At this stage the seller, on being informed by the bank regarding the credit terms, should ensure whether the credit terms are agreeable and, if necessary, demand from the buyer a more precise wording of the credit terms or the necessary amendments. It is in the interest of both the parties to the contract that the individual terms of the credit transaction are clearly and correctly stipulated. This facilitates the examination of the documents at the time of utilization. This will normally include commercial invoice consular or customers invoice insurance policies as certificate if the source is to be effected by the beneficiary and original bills or lading. General Description of the Merchandise: Which is briefly and in a general manner duly describes the merchandise covered by a later or credit. The Provisions of the Articles of the Uniform Customs and Practice for documentary credit 1995 edition – ICC Brochure No.500 shall govern the letter of credit unless otherwise specified by him in the application. If the bill is to be retired by debit to the importer’s account, the shipping documents are handed over to the importer or his duly authorized clearing and forwarding agent for clearance of the goods from customs at his own account. In case MPI (Pledge) facility is given, the branch should itself arrange or through debiting the account of client, clearance by bank’s nominated Clearing & Forwarding Agent of the goods on payment of import duty, sales tax etc. and store the goods at the bank’s go down subject to release on production of Delivery order as per arrangement. Sometimes documents are also handed over to the importer against T.R. for clearance of the goods on the clear undertaking that the importer will hold the goods or the sale proceeds thereof in trust with him at the disposal of the bank till the entire facility is liquidated. As per our existing system, imports bills are held under the custody of branches LC Department but bank finance for opening of LCs is handled by Investment Administration Department. After completing of TR/MPI facilities, documents are delivered to the importers by LC Department. In order to make a full proof system for controlling of import documents, branches should observe the following procedures while releasing import documents retired against T.R. or MPI facilities. Investment Department under authorized signatures must issue a memo advising the LC Dep’t. To release the documents after full adjustment of bank dues and/or TR/MPI facilities, as per prescribed formats. The LC Department must ensure that necessary approval has been obtained while releasing the import documents against TR or MPI facilities. LC Department will forward the documents to Bank’s approved C&F agent, as per standing instructions, with necessary instructions regarding payment of duty and other taxes and the mode of transportation from the port. A copy of he forwarding letter should be endorsed to Investment Department for their record and follow up. Cases where goods are to be cleared locally, documents should be delivered to local approved C&F agents with written permission of branch manager. If the bank, on behalf of the importer, clears the goods, the MPI Account is further debited with the amount of import duty, sales tax etc. and other clearing charges including go down rent etc. Delivery of the goods is made in one or more installments through Delivery Orders issued by the branch against cash payment by the importer. All payments for imports into Bangladesh are required to be reported to Bangladesh Bank on IMP form. The importer submits the IMP form in duplicate duly filled in and signed by him or by his authorized agent. If the shipping documents concerning the import are received by the branch directly from the foreign correspondent under irrevocable LC, the branch can approve the remittances if otherwise found in order and fully documented and covered by a valid LCA form. Otherwise prior approval of Bangladesh Bank is to be obtained on IMP form on arrival of the goods into Bangladesh, before effecting remittance to the foreign supplier. In case of import by post, the branches may make remittance against the import without prior approval of Bangladesh only if the post parcels are addressed directly to the branch. In other case prior approval on form IMP is required before effecting remittances. The relative original copy of IMP form is required to be certified by the branch accordingly in the space provided for the purpose along with a copy of Invoice duly certifying the amount remitted and submitted to Bangladesh Bank with usual Monthly Return (Summary statement S-1, S-2 etc. as the case may be) supported by E-2 schedule. The other copies are to be retained by the branch for disposal in future according to Exchange Control Regulations. The branch will obtain invoices in duplicate and certify these as usual. After recording in the IMP form the particulars of the remittance the original copy of the IMP form along with a copy of the certified invoice should be forwarded to the Bangladesh Bank with usual monthly returns. The branch should retain the duplicate copy of IMP form. Subsequently, when the importer submits the exchange control copy of the Bill of Entry/Custom’s Certified Invoice, its particulars should be matched and checked with those in the IMP form and invoice to see that the merchandise for which remittance was made had been duly received in Bangladesh. Subsequently, when the importer submits the exchange control copy of the Bill of Entry/Custom’s Certified Invoice, its particulars should be matched and checked with those in the IMP form and invoice to see that the merchandise for which remittance was made had been duly received in Bangladesh. This B/E after proper checking should be matched with the duplicate copy of the relative IMP form previously retained by the branch and kept separately party wise and month wise for inspection by the Inspectors of Foreign Trade Department of Bangladesh Bank, after which the same will be destroyed. If the importer does not submit the B/E within 4 months, the matter should be taken up with the concerned importer and also promptly reported to the area Exchange Control Office of Bangladesh Bank for further necessary action against the defaulting importer. Other copies of the IMP forms are to be filed in the relative file for the importer along with other import documents. In case of imports on Govt. Account the IMP form is marked with bold letter “G”. On the last working day of the month, the returns of bills lodged during the month should be sent to Bangladesh Bank along with original copy of the IMP form. The second copy should be filed with the Bill of Entry after clearance of goods. The branch will also retain the third copy. The 4th copy should be sent to Bangladesh Bank on failure of the importer to submit the Bill of Entry within time. The most commonly used credits are sight payment credits. These provide for payment to be made to the beneficiary immodestly after presentation of the stipulated documents on the condition that the terms of the credit have been complied with. The Banks are allowed reasonable time to examine the documents. Under a deferred payment credit the beneficiary does not receive payment when his presents the documents but at a later specified in the credit On presenting the required documents he received the authorized banks written undertaking to make payment of maturity. In this way the importer gains possession of the documents before being debited for the amount involved. Under a transferable LC, the beneficiary is permitted to transfer his rights in part or in full to one or more parties. It is typically used when the original beneficiary acts as the middleman between the actual supplier and the importer. In some cases the seller is not the actual producer or manufacturer of the goods. In such cases, original beneficiary requests for a transferable credit. The issuing bank can transfer a credit only if it is expressly designated as “Transferable”. A transferable credit can be transferred once only. A performance LC guarantees performance of an obligation. In the event of failure by the account party in the performance of an obligation e.g. contractual failure, failure to forward documents, failure to ship goods, the LC may be invoked. Very often various companies submit their respective bids in order to be awarded a contract. The beneficiary (the company which has requested the bids) will usually request a good faith deposit, which ranges from 1% to 3% of the total contract value. Instead, performance LC is issued to the beneficiary to cover the good faith deposit. As expressed in the “BID” situation, a performance LC (normally 10% of the entire contract value) will be issued stating that the performance will meet specified standards, If the standards are met, the credit expires, if not, the beneficiary would be reimbursed the amount of the LC. In essence this can be described as “penalty money”. The importer or buyer on whose request and on whose behalf the letter of credit is opened is called the applicant. The bank that opens a letter of credit, at the request of the importer, is known as Issuing Bank. The issuing bank is the buyer’s bank and is also called opening bank. The party, normally the supplier of the goods, in whose favor letter of credit is opened, is called beneficiary. The seller, after shipping the goods as per terms of the credit, presents the documents to negotiating bank/confirming bank for negotiation. The bank in the exporter’s country, usually the foreign correspondent of the importer’s bank, through which letter of credit is advised to the supplier is called the ‘advising bank’. If the advising bank also adds its own undertaking to honor the credit while advising the same to the beneficiary, he becomes the confirming bank. The confirming bank, in addition, becomes liable to pay for documents in conformity with the LC terms and conditions. The bank, which negotiates the bill (draft) of the exporter drawn under the credit, is known as negotiating bank. If the advising bank is also authorized to negotiate the bill (draft) drawn by the exporter it itself becomes the negotiating bank. Bank normally issued letter of credit (L/C) on forms, which clearly indicate the Banks name and extent of the banks obligation under the credit. The contents of the L/C of different may be different. In general L/C contains the following information. Name of the buyer: Who is also known as the accounted since it is for his account that the credit has been opened? Name of the seller: who is also known as the beneficiary of the credit? Tenor of the draft, which is normally dependent upon the requirements of the buyer. Expiration Date : which is specified the last date documents my be presented in this manner on by including additionally a latest shipping date the buyer may be exercise control over the time of shipment . Industrial raw materials for own use of industrial importers (including back-to-back imports discussed later in the section) on up to 180 days stance basis. For import on deferred payment basis, the price must be internationally competitive and interest, if any, should not be higher than the LIBOR for the corresponding period or the rate prevailing in the currency of the country of the supplier. Instructions regarding opening of import LCs on longer stance terms against supplier’s credits arranged by industrial enterprise in the private sector as per general or specific BOI approval are contained in chapter 23 of the ‘Guidelines for Foreign Trade Transactions’ of Bangladesh Bank. Familiarity with international customs and practices with regard to cross border transactions is essential for efficient handling of transactions related to exports from Bangladesh. The discussions in this section will concentrate on these practices and customs. Exports from Bangladesh, as indeed from anywhere else, are normally made either against firm sale contracts or irrevocable LC. Shipments are also some times made without cover of an LC on CAD, DP or consignment basis according to the terms of relevant sale contracts. The sale contracts must stipulate the requirement of the buyer about the quality, quantity, price, description of the commodity, schedule of shipment, insurance, marks, country of origin and terms of payments, i.e. whether payments to be made against bills drawn at sight, D/P, D.A. or CAD basis. The sales contract may stipulate the price of the commodity as FOB, CFR, CIF etc. These terms are described in some details in Chapter 16. Insurance is taken and marks on the crate/bale are given as mutually agreed upon by the buyer and exporter. The buyers and sellers may agree to have goods inspected at the port of shipment or at the port of destination by an internationally reputed inspection agency or other entity including the buyer himself. If the credit is an Air Mail LC “Hand-on-credit”, addressed to the beneficiary, dispatch the same in original to the beneficiary under cover of the Bank’s forwarding letter either by registered mail or through messenger, as may be convenient, retaining a photo copy for the bank’s record. “Since we have not been requested by the opening bank to confirm the LC, this Advice conveys no engagement or responsibility on our part”. Branch should recover LC advising commission from the beneficiary. If the beneficiary is the bank’s client the charge is debited to his account and if the beneficiary is not our client, the charge will be cash. Charges should be recovered either from the beneficiary or the opening bank depending on the terms of the LC. Time stamp the letter/cable/telex requesting amendment of the LC. Take out the work card and LC folder. Verify the signature on amending letter/test number on tested amending telex/cable with Test Key. Review the LC amending letter/cable/telex for their clarity, completeness and conformity with the existing rules and regulation/sale contract, etc. Record all particulars of amendment in the LC Advising Register and all other documents/papers connected with the LC. Obtain Head Office approval in case of amendment of confirmed LC involving amount or expiry date. Prepare LC amendment form and promptly advise the beneficiary and issuing bank. Check and obtain official approval signature before dispatching amendment advice. Develop Management system: SJIBL has better management system which is always responsible for better service. More found for investment: For adequate financial ability they can provide loan to the more investment clients. Straightforward and reliable employee: all of the employees of SJIBL are sincere reliable. They are always devoted themselves to the works for better customer service. Shahjalal Islami Bank Limited has already achieved a goodwill among the clients that’s helps it to retain valuable clients. SJIBL has lack of ATM booth. Credit proposal evaluation process lengthy. No substantive use of annual confidential report to reward or to punish employee. Hence employee becomes in efficient. The bank provides the better customer service. They can offer micro credit business for small business. Many branches can be opened to reach the bank’s services in remote location. The common attitude of Bangladeshi clients to default. Increased competition in the market for public deposit. Market pressure for lowering the interest rate. Bangladesh bank sometimes requires private commercial banks to be abide by such rules and regulation which is not suitable every commercial bank. The performance of a Banks today competitive business is important. Just few years ago the number of bank was very small. So the competition was not a strong as its today. Things have changed with the emergence of many new banks now the Customers have option to take the one that the best so the current banking business scenario is simply highly competitive. The performance of Shahjalal Islami Bank Limited during the Last five years has proved that with strong desire and will power one achieve whatever target he may have. Almost all the leading banks in our country have various Extra facilities in offer for the customers in comparison with other Banks but SJIBL has succeed in achieving more customer than other competitors. This has been possible only because of strong customer relation and excellent customer service. For Banks credit is the main source of profit and on the other hand the wrong use of credit would bring disaster not only for the Bank but also for the economy as a whole. The less the amount of loan losses, the more the income from credit operations of the Banks and here lays the success of credit Financing. The objective of credit management is to maximize the performing assets and the minimizing of the none performing assets as well as ensuring the optimal point of loans and advance and their efficient management. Though there are some drawbacks in implementing credit facilities in Shahjalal Islami Bank Limited As per manual it can be improved though involvement of more financial expert in the decision making process and utilizing the tools to judge integrity of the customers Finally, it can be urged that though the results achieved so far not satisfactory credit financing is a modern scientific technique for enhancing Shahjalal Islami Bank Limited strength and there lies the opportunities to make it more effective in the future for their benefit. They should update their banking software and systems that ultimately result in fully automated banking activities to attain customer satisfaction. It should also introduce new innovative services and increase its area of coverage. Shahjalal Islami Bank should train its new employees in professional institutions like Bangladesh Institution of Bank Management (BIBM). Number of branches should be increased. They should increase number of ATM booth. The employee of the different branch should be trained continuously. Bank should provide their annual reports, Brochure, bulletin etc in order to give necessary information to customer.